DeviceTool displays Windows devices of local and remote computers in a tree structure. When logged on with administrative privileges, devices can be enabled and disabled by clicking the right mouse button. Important properties are shown in right section. DeviceTool automatically refreshes on newly connected or disconnected devices. DeviceTool is unlike Windows Device Manager not able to install or update drivers. It is not able to display enhanced, device specific properties like Wake-On-Lan capabilities of a network interface. 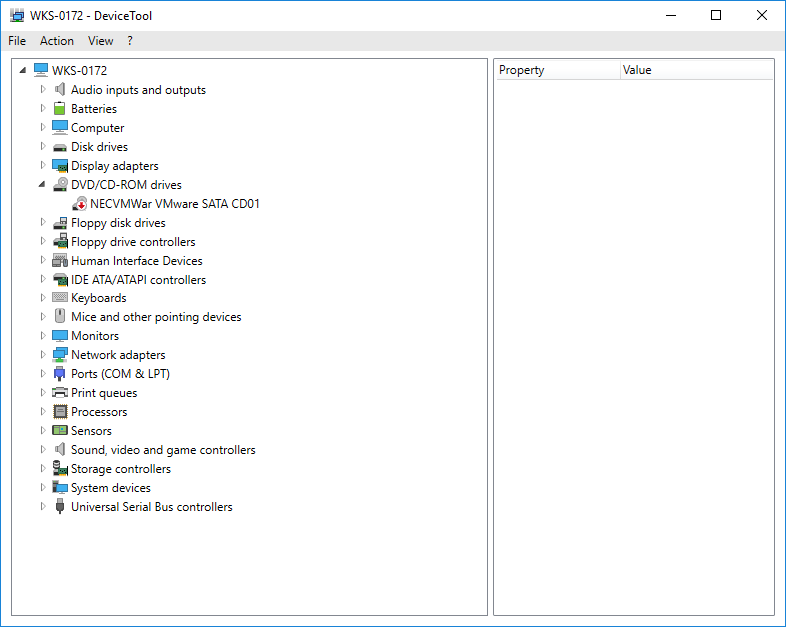 Because of this reduced set of shown properties DeviceTool is extremely fast compared to Windows Device Manager. Solution: Please ensure you have installed at least .NET Framework 4 on your computer. The files DeviceTool.exe.config, endis32.exe and endis64.exe must exist in the folder of your DeviceTool.exe. Solution: Please start DeviceTool with administrative privileges: Click right mouse button on DeviceTool.exe and "Run as administrator". Solution: DeviceTool uses the psexec tool to enable and disable devices on remote computers. Please ensure that the remote computer can be reached on TCP port 445 or 139. A simple test: If you are able to map a share of the remote computer (e.g. the c$ share), psexec will work, too. Solution: Some devices simply can't be disabled by design, e.g. the first hard disk of a computer (drive C:) or CPUs.